Iron paddle steamer built in Rostock 1858, nrt 70. Sold to Parafin-Olie-Compagniet, Mandal 1864. Sank 1866 after running aground off Farsund. 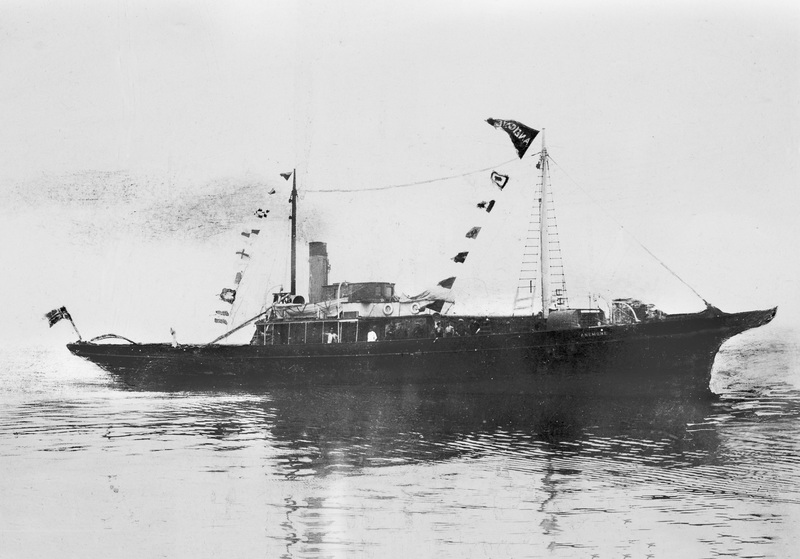 There are no known images of the steamship ”Nedenæs”. Thomas Hauge, former curator at the Norwegian Maritime Museum, has produced a sketch based on technical specifications that shows what she in his opinion must have looked like. Virtually all steamships of this era also carried sails. Built in Gothenburg in 1865. Sold to Ålesund in 1877. 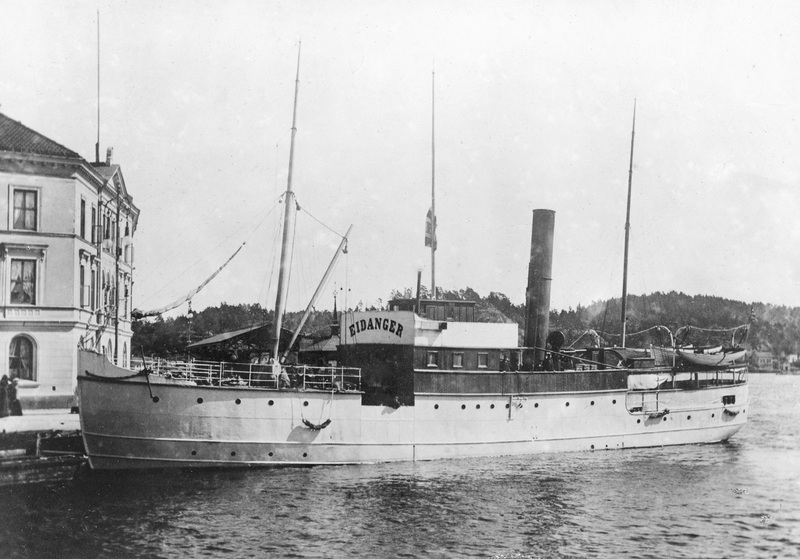 Sold to Vesteraalens Dampskibsselskab in 1881 and renamed ”Vesteraalen”. 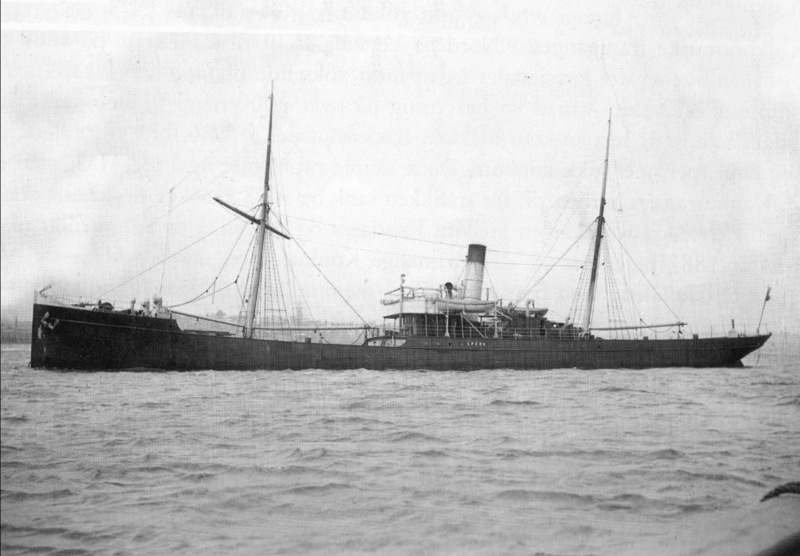 Sold to Erik Rusten, Bergen in 1890 and renamed ”Nordfjord”. Sold to Vestenfjeldske Dampskibsselskab in Bergen in 1891. Remeasured to 220 brt. Sold to AS Romsdalske Dampskibsselskab, Molde in 1914. Acquired by Møre Fylkes Ruteselskab, Molde in 1920. Sold to Måløy Sildoljefabrikk, Fosnavågen in 1947. 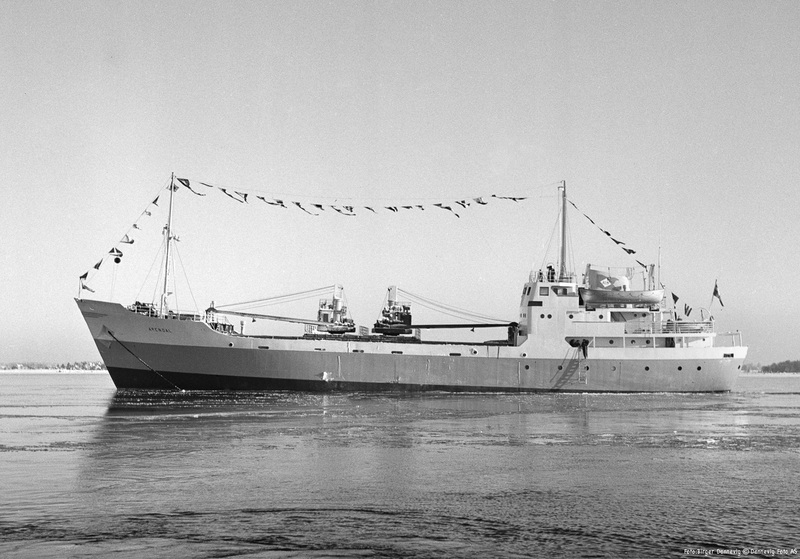 Rebuilt as a cargo motor vessel 1952. Sold to Stavanger for scrap 1971. ”Arendal” had 18 berths for passengers. The winter trade was most profitable, and the ship was reinforced for sailing in ice conditions. Built in Gothenburg in 1868. Rebuilt and equipped with a new engine in 1883 at Akers mek. Verksted, Kristiania. Remeasured at 331 brt. 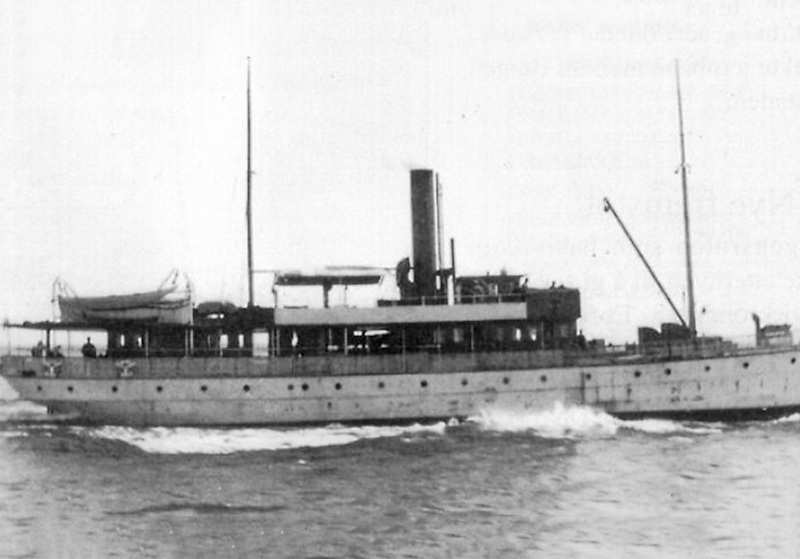 In 1912 she was lengthened and rebuilt at Pusnes Støberi & Mek. Verksted in Arendal, new tonnage 394 brt. Renamed ”Brevik”. 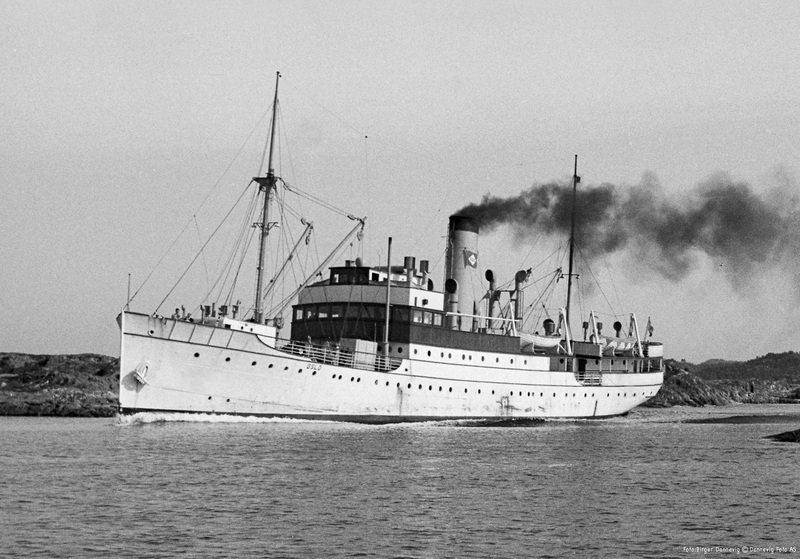 Sold in 1938 to Grimstad for scrap. 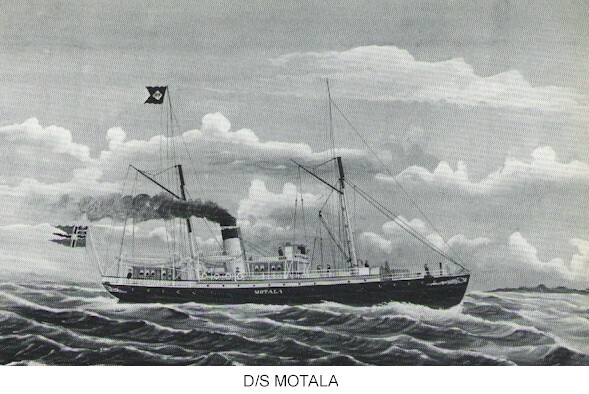 ”Motala” had berths for 52 passengers. The coastal route Kristiania-Bergen was established in 1868 with ”Arendal” and ”Motala”. 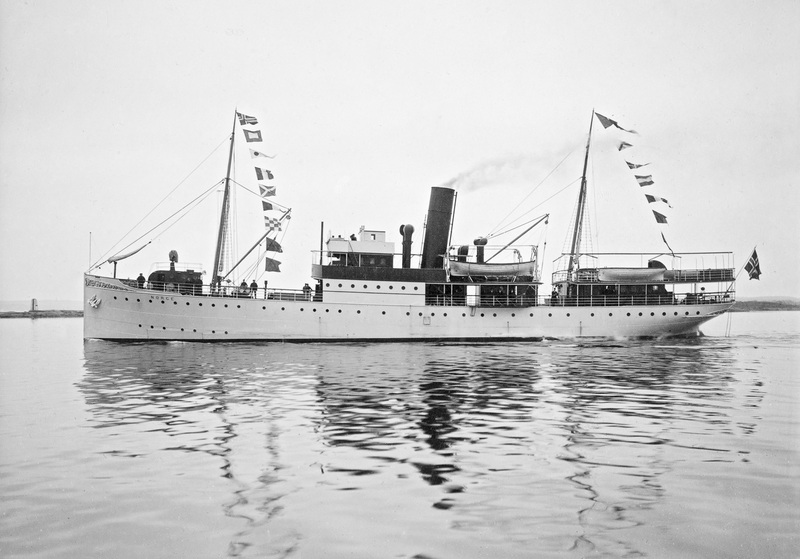 Following the 1912 rebuilding the ship was used on the Brevik route. She was the last ship on the Brevik route, which was discontinued when the Sørlandsbanen railway was extended to Arendal in the autumn of 1935. Built in Gothenburg in 1878, 421 brt. Wrecked by fire off Lista in 1907. Built in Gothenburg in 1882. Rebuilt in 1898 at Akers mek. Verksted, Kristiania. Renovated in 1909 and remeasured at 521 brt. 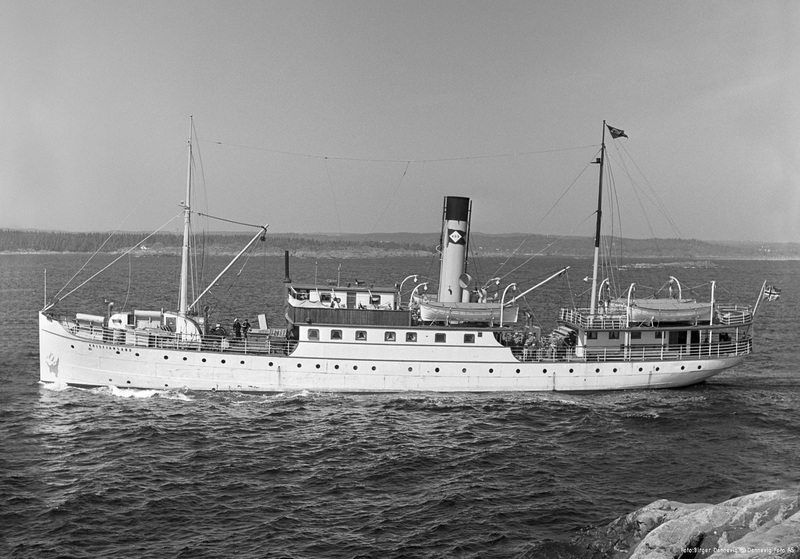 Sold in 1939 to Grimstad for scrap. Built by Nylands mek. Verksted, Kristiania in 1891, 987 brt. Sold in 1908 to B. Stolt-Nielsen in Haugesund. 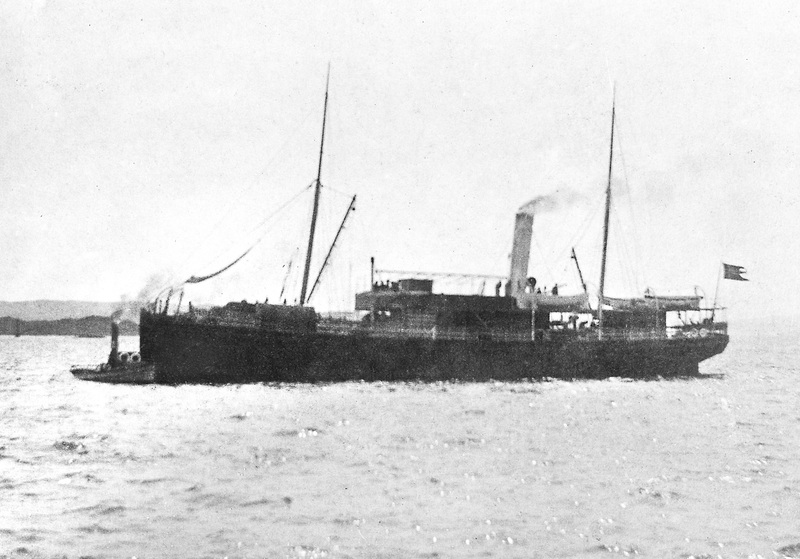 Ran aground and sank off Lista in 1912. Built at Fevigs Jernskibsbyggeri by Arendal in 1894, 661 brt. Sold to Det Helgelandske Dampskibsselskab in 1940. Sold in 1947 to Ole T. Flakke, Kristiansund. Sold to Greece in 1948 and renamed ”Ionion”. Scrapped in 1962. 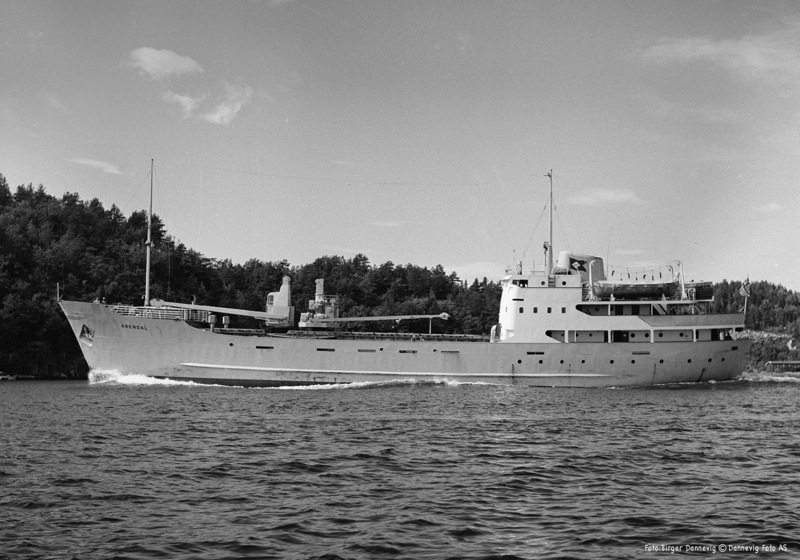 ”Dronningen” was designed by nationally known ship designer Randulf Hansen, who was famous for the beauty of his ships. Built 1859 in Motala as ”Excellensen Toll”, registered in Malmø. Sold to K.A. Larsen in 1873, Kristiansand and renamed ”Excellensen”. 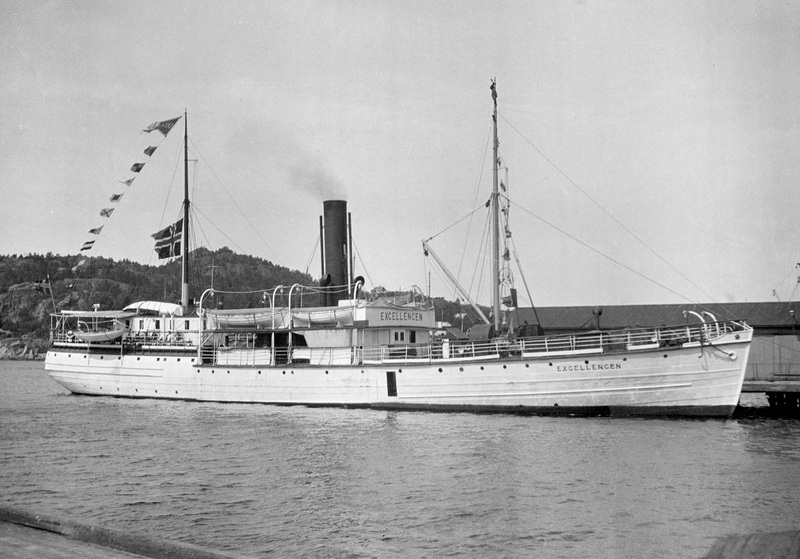 She had a number of owners until Arendals Dampskibsselskab acquired her in 1899. Rebuilt and renovated in 1901 and measured at 425 brt. Sold for scrap to Stavanger in 1935. 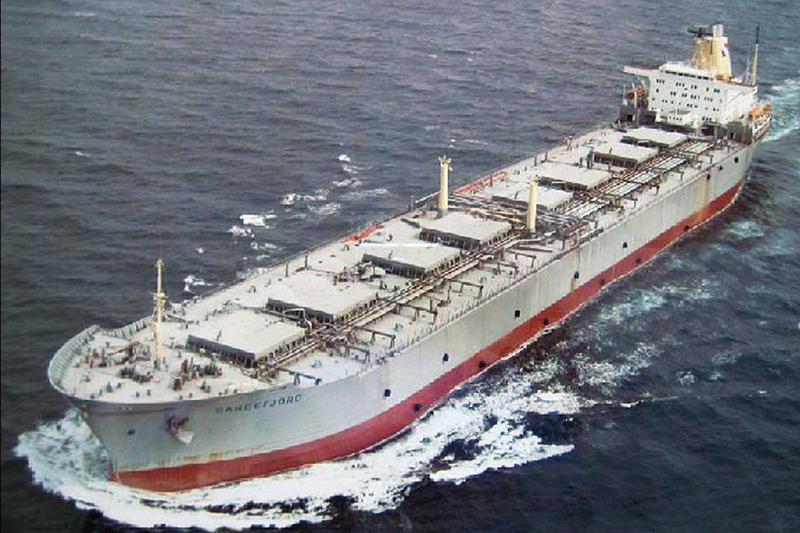 ”Excellensen” could attain a speed of 14 knots and was one of the fastest ships in the ADS fleet. She did, however, have a bad tendency to roll and passengers who where prone to seasickness preferred to travel on others ships when possible. 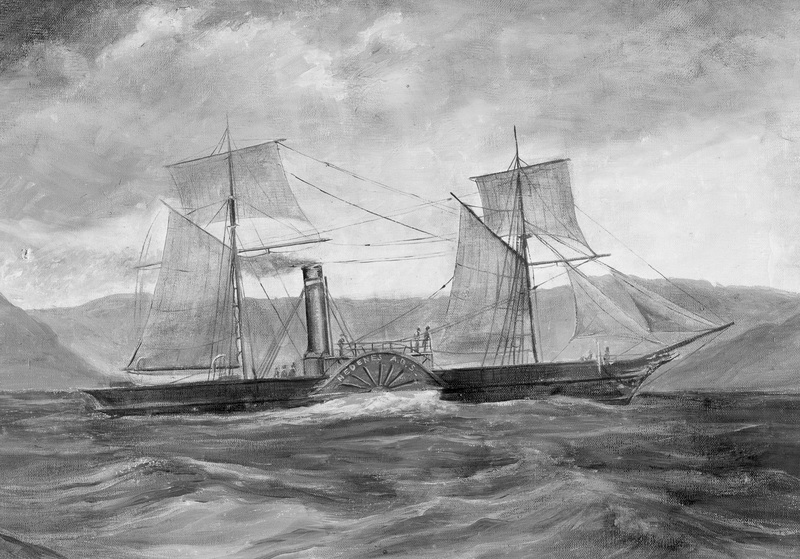 Launched in Motala in1857 as “Vingåker”. 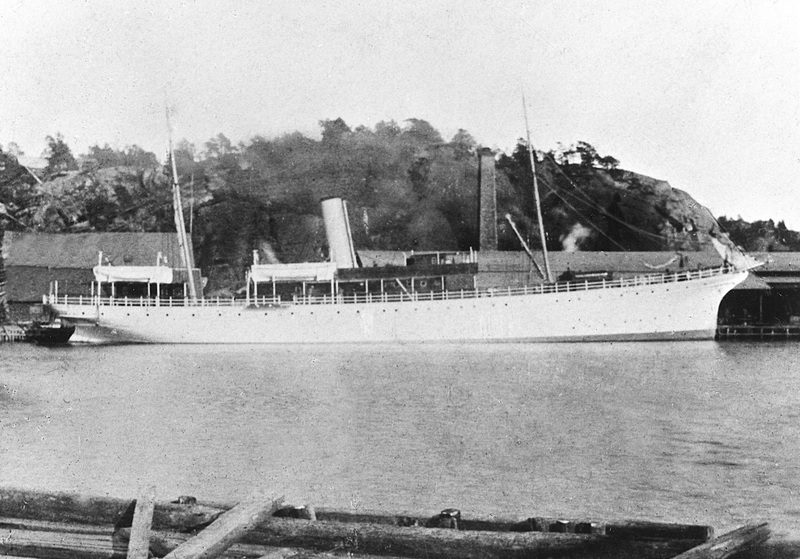 Sold to Gothenburg in 1899 and renamed ”Laban”. 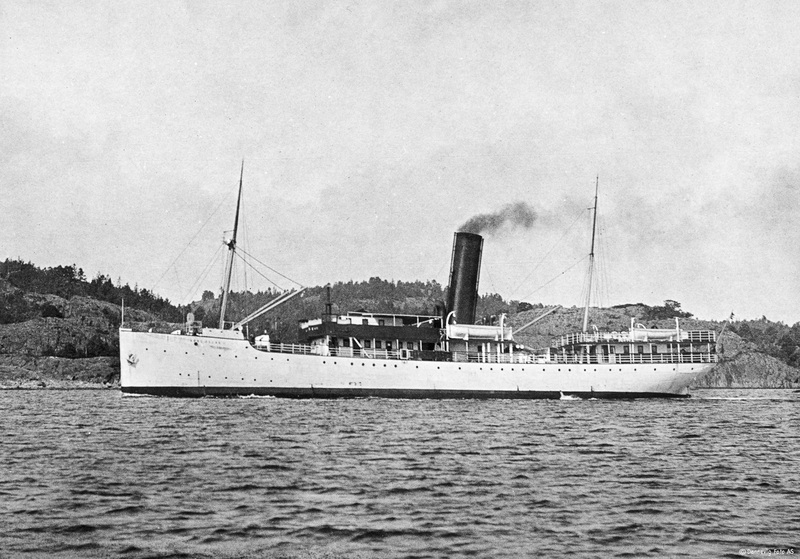 Sold to A. Johnsen, Skien in 1891 and renamed ”Eidanger”. Lengthened and rebuilt in1894. Remeasured at 219 brt. Acquired by Arendals Dampskibsselskab in 1904. Sold for scrap in 1931. This little ship became quite a legend by keeping her time table in all kinds of weather even when much larger ships on the Kristiania-Bergen route staid in harbour. Even fog did not deter her, and it was said along the southern coast that you could set your watch by ”Eidanger”. Delivered from Burmeister & Wain in Copenhagen 1904. Seized by the German occupying powers in 1940. Scuttled off Sandnessjøen in 1945. Built in Fredriksstad 1890 for Dampskibsselskabet Glommen. Rebuilt and remeasured at 318 brt. in 1896. Bought by Arendals Dampskibsselskab in 1905. Sold to Horten in 1933 and renamed ”Svein II”. Sold for scrap to Stavanger in 1939. Delivered from Fredriksstad mek. Verksted in 1910. 793 brt. Renamed ”Bjørgvin” in 1929. Lengthened and rebuilt in 1947, 911 brt. 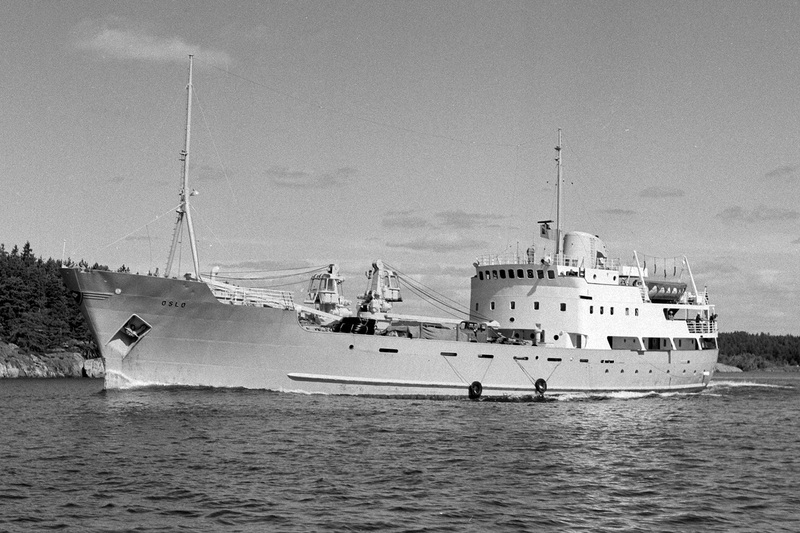 Ran aground and sank off Tønsberg Tønne in 1960. 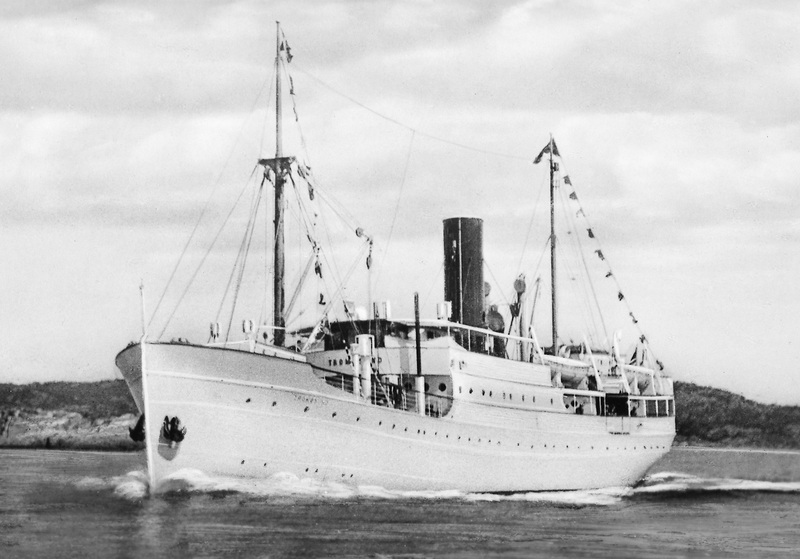 ”Norge” was originally ordered from Fevigs Jernskibsbyggeri immediately after ”Lindholmen” had been lost. But the yard went into bankruptcy, and the ship was completed in Fredriksstad. Built in Stavanger in 1914, 484 brt. Ran aground and was wrecked on entering Risør the same year. Built at Nylands mek. Verksted in 1915, 473 brt. Sold to Holland in 1957 and scrapped in 1958. 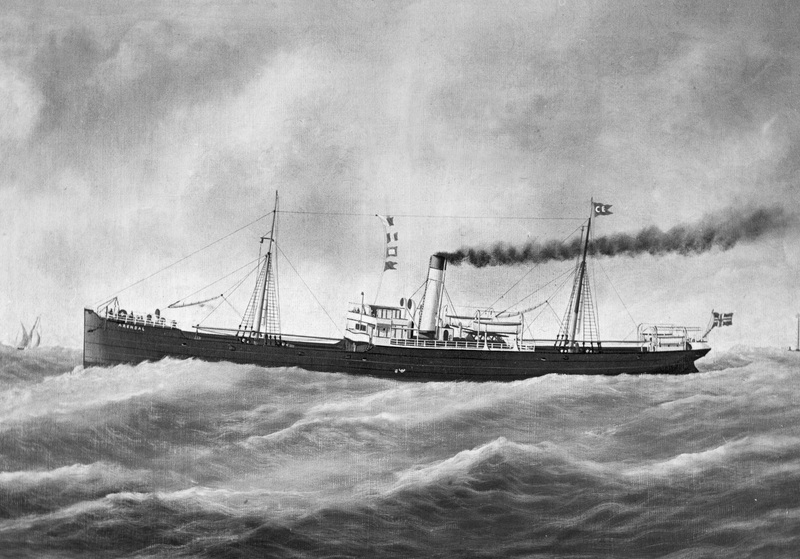 The ship was built for the Brevik route. When the service on this route was reduced the ship was transferred to the Oslo-Arendal-Kristiansand route until she was sold in 1957. 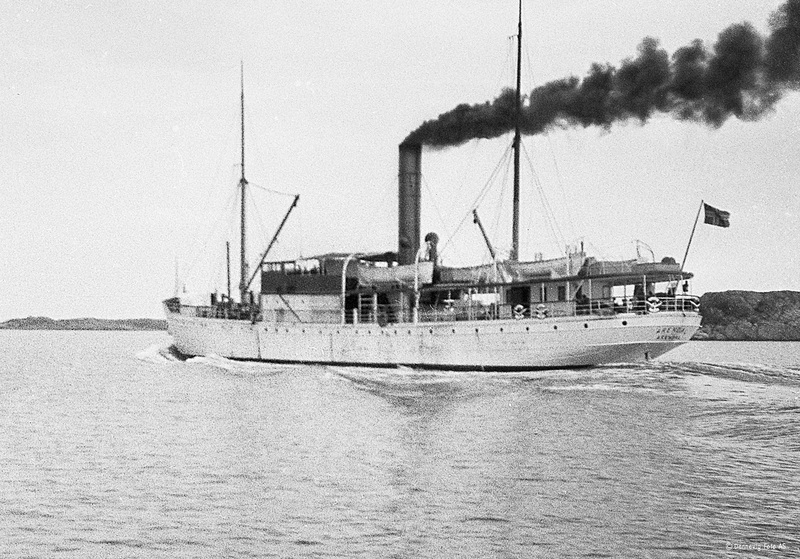 Launched as “Skandia” in Copenhagen in 1905. 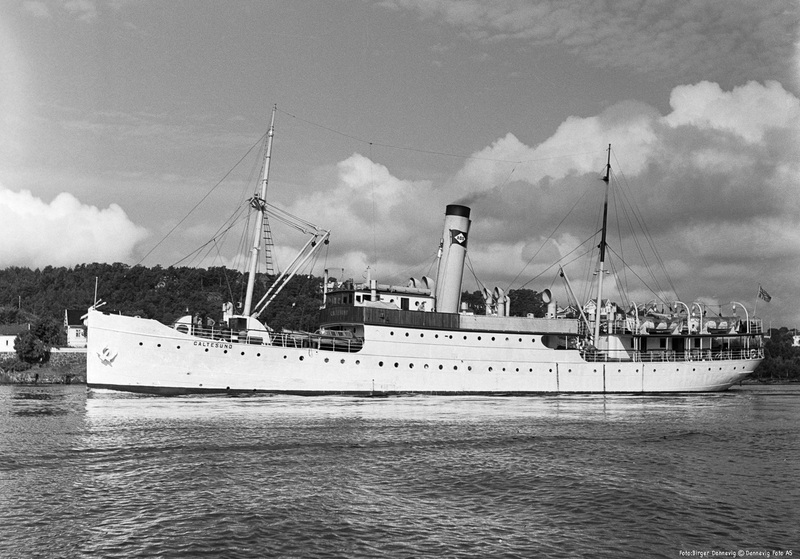 Purchased as ”Skandia II” by Arendals Dampskibsselskab in 1919 and renamed ”Galtesund”. Sold in 1955 to Alfred I. Thommesen, Arendal. Sold for scrap to Holland in 1956. The ship was bought for use on the Brevik route. Later she was put into service on Hurtigruten and the Bergen route. Built as a yacht in Paisley, 1887. Various owners until she was acquired by Arendals Dampskibsselskab in 1926. 187 brt. Sold to Harstad in 1932. Capsized and sank off the Finnmark coast in 1933. Delivered from Nylands mek. Verksted in 1928. 732 brt. Used mainly on the Oslo-Bergen coastal route. Bergen. Sunk by German planes in the North Sea in 1943. Delivered by Nylands mek. Verksted in 1929. 881 brt. Before World War II she was mainly used on Hurtigruten. After the war she was used on the Oslo-Bergen coastal route except during the summer season. Sold to Greece in 1959 and renamed ”Aegeus”. Later renamed ”Kefallonia”. Damaged by fire in 1968 while laid up in Piraeus. Delivered by Sølvesborg Varvs og Rederiaktiebolag in 1955, 605 brt. Sold the same year to the Government of the Falkland Island Dependencies, Port Stanley and renamed “Shackleton”. Scrapped in Hull 2011. Delivered by Pusnes mek. Verksted in 1957, 678 brt. 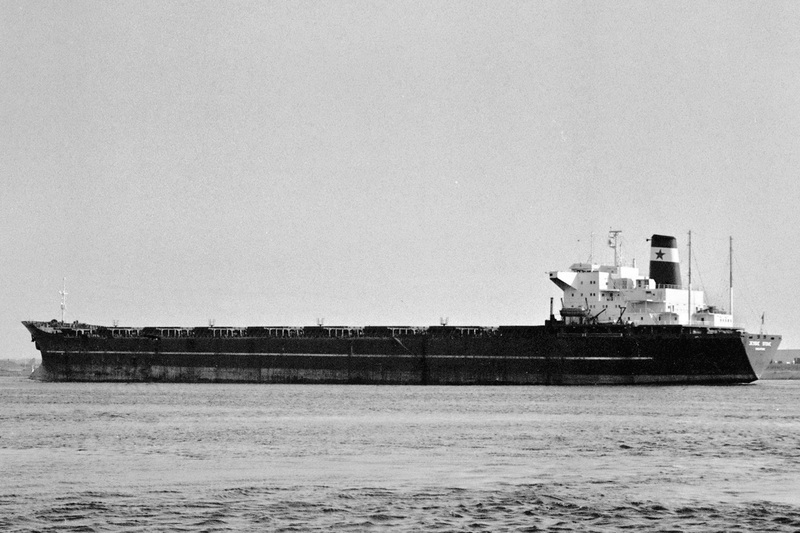 Sold to Senegal in 1967 and renamed ”Cap Skirring”. Delivered by Mjellem & Karlsen, Bergen in 1962. 727 brt. Sold to Canada in 1969 and renamed ”Nordbec”. Renamed ”Fort Mingan” in 1970. MV “Arendal” and MV “Oslo” were efficient and up-to-date ships for their time, especially when it came to cargo handling. Even so, they could not compete with land-based transportation. Cargo decreased while running costs increased, and the ships became an unprofitable business. Furthermore, a small annual government subsidy of NOK 33000 was cancelled in 1963. 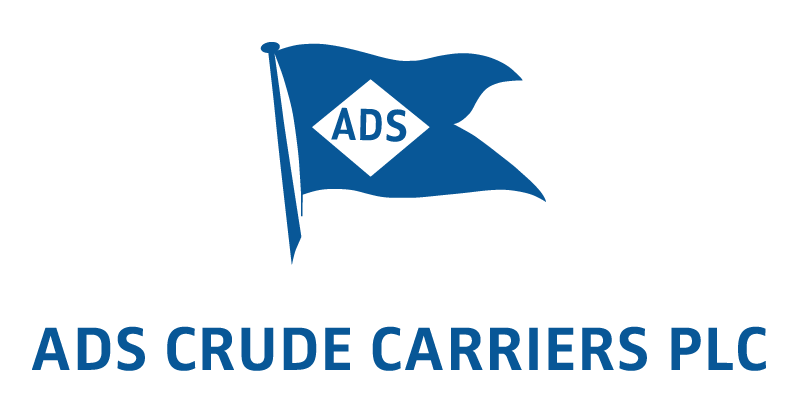 The only option for Arendals Dampskibsselskab was to sell the company’s last ships. The capital from the sale of the coastal ships was invested in shares in two ships trading overseas. These were the bulk carrier “Jessie Stove” (b/w photo above) of 110.843 dwt, built in 1972, and the ore/oil ship “Sandefjord” (colour photo) of 127.209 dwt, built in 1974. "K" Line partnership: "K" Line Offshore AS – KOAS – was established in Arendal 2007 as a partnership between Kawasaki Kisen Kaisha Ltd. ("K" Line) and ADS, with "K" Line as majority owner. The aim was to build a high-end offshore service vessel company. Investing some USD 600 mill the company took delivery of a series of 6 AHTS and PSVs, and also acquired second hand tonnage. In 2014 the partnership was amicably dissolved, with OSM continuing as technical manager of the KOAS fleet. The company is now a 100 % owned subsidiary of Kawasaki Kisen Kaisha Ltd.